Enjoy ham flavor matching the world's best: Boneless, perfectly marbled and ready to serve. 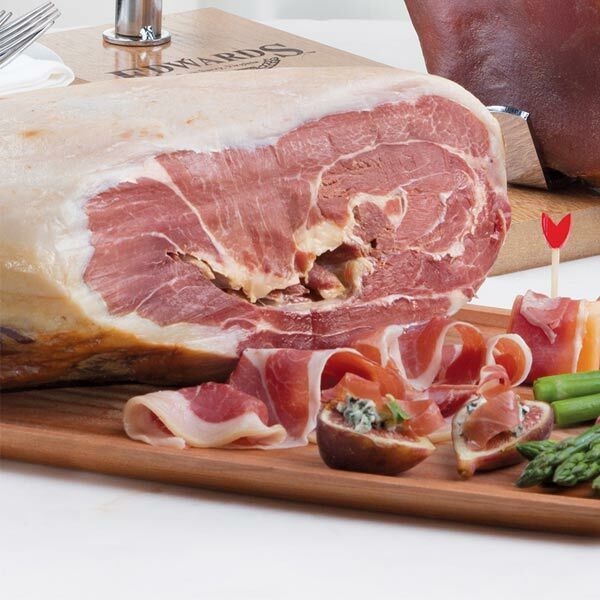 Edwards Surryano Hams are exclusively produced from 100% pasture-raised Heritage Breed pork. They are the American alternative to premium-priced European Prosciutto and Serrano hams. 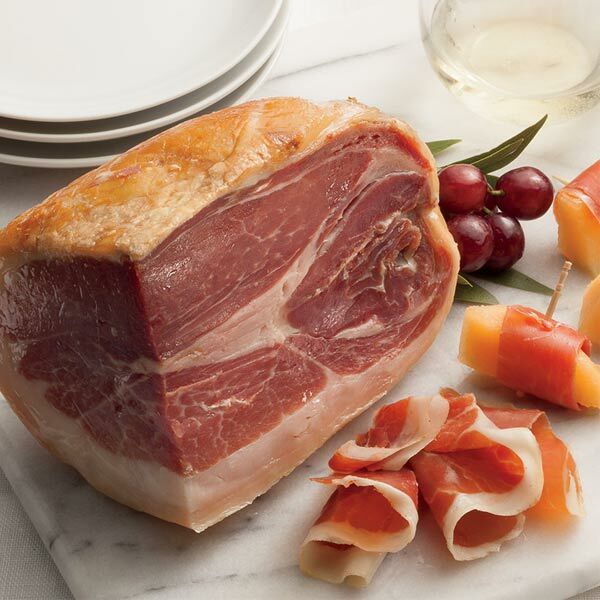 This completely boneless, perfectly marbled Surryano ham is dry-cured by hand with natural ingredients and smoked for a full 7 days over smoldering hickory wood. Then, Surryano hams are aged for more than 400 days to put the finishing touch on its unique mahogany color and bold, distinctive flavor. Sliced paper-thin, it's the perfect complement to melons, olives and Spanish-style tapas, and it's great on bread with olive oil and cheeses such as provolone and mozzarella. Slice it ultra-thin, serve it at room temperature for optimal flavor and enjoy its rich taste with friends and family. NOTE: We continue to produce our Surryano hams in a separate facility than ours, which burned in the January 2016 fire. You may experience a slightly different flavor profile if this is your first time back since the fire. If you for any reason do not like the new flavor profile, we still honor our 100% Satisfaction Guarantee. Thank you for your consideration as the recovery process continues. Cured With: Pork and Salt. Preparation: No cooking required. Ready to slice paper-thin and serve as a perfect complement to melon slices, olives, Spanish-style tapas...or on bread with olive oil and cheeses such as provolone & mozzarella. For optimal flavor, serve at room temperature. Shelf Life: Unopened shelf stable for up to 2 years. Once opened, re-wrap and refrigerate to prevent molding. Best consumed within 12 weeks.